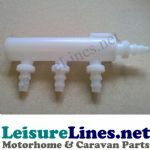 This website is owned and operated by Caravan Accessories C.A.K. Tanks Ltd Trading as LeisureLines. The following terminology applies to these Terms and Conditions of Sale, Privacy Statement and Disclaimer Notice and any or all Agreements: “Customer”, “Client”, “You” and “Your” refers to you, the person accessing this website as our Customer or potential Customer and accepting the Company’s terms and conditions. . "The Company", “Supplier”, “Ourselves”, “Our”, “We” and "Us", refers to Leisurelines our Company. “Party”, “Parties”, or “Us”, refers to both the Customer and ourselves, or either the Customer or ourselves. All terms refer to the offer, acceptance and consideration of payment necessary to undertake the process of our assistance to the Customer in the most appropriate manner, for the express purpose of meeting the Customer’s needs in respect of provision of the Company’s stated services/products, in accordance with and subject to, prevailing English Law. Any use of the above terminology or other words in the singular, plural, capitalisation and/or he/she or they, are taken as interchangeable and therefore as referring to same. a, The Supplier's employees or agents are not authorized to make any representations concerning the Goods and Services unless confirmed by the Supplier in writing. In entering into the Contract the Customer acknowledges that it does not rely on, and waives any claim for breach of, any such representations which are not so confirmed. b, No variation to these Conditions shall be binding unless agreed in writing between the authorized representatives of the Customer and the Supplier. c4, Any typographical, clerical or other accidental errors or omissions in any sales literature, quotation, price list, acceptance of offer, invoice or other document or information issued by the Supplier shall be subject to correction without any liability on the part of the Supplier. You can place an Order on our Site by adding Goods to your basket and following the checkout process. You are responsible for ensuring that your Order details are complete and accurate. Before you place your order, you will have the opportunity of identifying whether you have made any input errors by reviewing your basket. You may correct those input errors before placing your order by making the necessary corrections to your order before making payment at the checkout. Each Order for Goods by you to us shall be deemed to be an offer by you to purchase Goods subject to these Terms and all Goods are offered subject to stock and availability.Checkout and pay for your basket of goods. Once the website has processed your basket you will get an email, to the address you furnished us with in your registration information, confirming your order has been received by us pending our acceptance of it. This confirmation will set out a description of the Goods ordered and the total cost of the Goods ordered, including delivery and VAT. Once we have received your order we will check it for accuracy and confirm the correct prices by email. Our acceptance of your order constitutes a legally binding contract between ourselves and you the customer on these terms. No term sought by you in your order to vary these terms will be accepted or form part of this contract unless confirmed in writing by an authorised representative of the company. We reserve the right to withdraw from any contract to supply or service in the case of errors and inaccuracies in literature or details on our website. We will contact you by email is soon as possible once we have discovered the error, If this error is regarding the price of a product we will offer you the option to accept the corrected price and continue with the order or cancel that part from your order. Unless we list a standard vehicle kit, we require a sketch drawing of where you wish us to install connections for all tank orders. This is to ensure accuracy. We will not accept any verbal instructions regarding the positioning of fittings or equipment to be fitted to tanks. We endeavour to keep sufficient stocks to fulfil website and in person orders from our warehouse. If it is found we have insufficient stock of some or all of the products you have ordered ,we will contact you by the email address you have supplied us within your registration or order, to offer you the option to change to alternative products or delete the unavailable items from the order. If you fail to correspond with us within 7 days of the sending of our email we reserve the right to dispatch the parts of the order which are available from stock and cancel the remaining unavailable items. We may also split the order and send in two deliveries at our convenience. We will refund as soon as possible any monies paid for unavailable items but ensure this is within 30 days. We will not be liable to offer any compensation for the order being sent incomplete. Prices for products are quoted on our consumer website in pounds sterling inclusive of VAT. The website contains a large number of products and it is always possible that some of the prices on the website may be incorrect. We will verify prices as part of our sale procedures so that a product's correct price will be stated when we confirm our acceptance of your order. In addition to the price of the products, you will have to pay a delivery charge, which will be as stated when you check out and pay for the product. When ordering goods from Leisurelines for delivery overseas the recipient may be subject to import duties and taxes, which are levied once the package reaches the specified destination. Any additional charges must be borne by the recipient; we have no control over these charges and cannot predict what they may be. Customs policies vary widely from country to country, so you should contact the local customs office for further information. Additionally, please note that when ordering from Leisurelines, the recipient is considered the importer of record and must comply with all laws and regulations of the country in which the goods are received. We would like our international customers and customers dispatching products internationally to be aware that cross-border deliveries are subject to opening and inspection by customs authorities. We will use reasonable endeavours to deliver products on or before the date for delivery set out in our order confirmation or, if no date is set out in our order confirmation, within a reasonable timescale from the date of our order confirmation. If you have ordered large items they may be sent on a pallet for the benefit of safe dispatch. You will need to have suitable means to unload your order at the place you have requested delivery. If you are unable to accept delivery and have not advised the carrier of this inability the carrier may charge you a redelivery fee. If no one is at the address when the delivery is attempted the delivery contractor will leave a card advising you who to contact to arrange collection or re-delivery. If you do not make arrangements for collection or re-delivery of the Goods within a reasonable period the goods will be returned to our warehouse and we will only refund the price of the Goods less a handling charge of £20 (twenty pounds) provided the Goods have been returned to us in their original condition. If you give specific delivery instructions in your Order either to leave the goods at a neighboring address or outside your premises without obtaining a signature, the Goods are delivered entirely at your own risk and we will not accept responsibility for any loss or damage suffered. A delay in the delivery of the Goods will not entitle you to terminate or rescind the Contract unless such delay exceeds 30 days. Delivery - missing, lost or damaged goods etc very important note. Larger items & consignments are sent by carrier delivery service and require a signature on delivery. If unfortunately on delivery you find your goods are missing, lost or damaged please notify us promptly of delivery with details of the problem and confirm in writing. The Company will endeavour to make good the discrepancy within a reasonable period. Once a delivery has been signed for the carrier (and therefore Leisurelines) will not accept responsibility for any damage. Please look for obvious signs or sounds of damage and if necessary refuse the delivery. If you do not intend to fit a product straight away we advise you check it has been received in good condition and working order straight away. A:1 in the case of missing or damaged goods to the Company (otherwise than on the carrier's documents) within 3 working days of receipt, and to the carrier in accordance with the carrier's claims procedure; Please sign for goods as damaged. If you sign as unchecked or "received in good condition" as stated on their delivery note the carrier will refuse our claim for loss / damage. We cannot emphasize the importance of this enough. A:3 in the case of any damage which could not reasonably be detected on inspection or other discrepancy immediately on the discrepancy becoming apparent and in any event within 7 days from receipt of the goods. If you wish to return an item, please contact customer services to advise of the return and obtain a return reference number (failure to do this may result in any refunds or replacements being delayed). To aid us in re-stocking the item please enclose in parcel details of why the product is being returned. We accept returns within 14 days no quibble. Goods returned are accepted providing they are in original condition, with original unmarked packaging and documentation and have not been modified in any way. Carriage charges are non-refundable unless goods are found to be faulty on inspection. All special orders are subject to a 20% re-stocking charge. Customers are responsible for all return carriage costs. This Section applies to consumers, not business customers. If you are a business customer, the applicable returns policy is set out in Business Customers Returns Section. You will not have any such right insofar as a contract relates to: (i) the supply of any products which constitute audio or video recordings or computer software which have been unsealed by you; (ii) the supply of newspapers, periodicals or magazines; (iii) the supply of goods made to your specifications or clearly personalised. We cannot accept any liability for returned goods that are lost or damaged in transit. Goods are returned entirely at the customer’s risk. Please ensure products are packed well for return transit. If you use your own carrier service to return goods to us any damaged parcels on return will be at your risk to claim for damages from your carrier. Proof of dispatch of returned items does not constitute proof of our receipt of your return we advise you use proof of delivery or signed for delivery methods for all returns. (b) Subject to the conditions set out below, the Company warrants that the goods will be free from defects in material and workmanship for a period of 12 months from the date of delivery and shall replace any goods which the Buyer proves to the satisfaction of the Company to be faulty in accordance with this condition. (c) The warranty given in paragraph (b) is subject to the following conditions. (d) The Company shall be under no liability in respect of any defect in the goods arising from any specification of the Buyer provided in its order or any tender. (e) The Company shall be under no liability in respect of any defect arising from fair wear and tear, willful damage, negligence, abnormal working conditions, failure to follow the Company’s instructions, misuse or alteration or repair of the goods without the Company’s written approval. (f) The Company shall be under no liability under the above warranty if the total price for the goods has not been paid by the due date for payment. (g) The above warranty does not extend to parts, materials or equipment not manufactured by the Company, in respect of which the Buyer shall only be entitled to the benefit of any warranty or guarantee provided by the manufacturer thereof to the Company. (h) Subject as expressly provided in these conditions, all warranties, conditions or other terms. This Section applies to business customers, not consumers. If you are a consumer, the applicable returns policy is set out in the consumers’ returns section. Products may only be returned to us with our prior agreement, at your expense, and according to our directions. Any products returned in contravention of this Section will not be the subject of any refunds or replacements and you will continue to be liable for payment of the price of such products. Customers are responsible for all return carriage costs. (f) Redistribute material from this website except for content specifically and expressly made available for redistribution (such as our catalogues and newsletters). The Company operates a continuous programme for the development and improvement of its goods and reserves the right to alter their specifications at any time without notice and to deliver goods conforming to the altered specification in fulfilment of any contract; no contract shall constitute a sale by sample notwithstanding that any products may have been exhibited to or inspected by the customer. The Company also reserves the right at any time to update any information it provides, without notice. Any specifications, drawings, particulars or weights and dimensions and other technical information contained in the Company's quotations, catalogues, price lists, advertisements or elsewhere are approximate only and intended merely to present a general idea of the goods and (unless otherwise agreed in writing by the Company) are not to form part of any contract. The Company reserves the right to discontinue the sale of particular products without notice at any time. We are a limited company registered in England and Wales. Our registration number is 3677785. 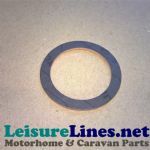 Our registered trading address and contact details are; Caravan Accessories Cak Tanks Ltd trading as Leisurelines. Of: Princes Drive, Kenilworth, Warwickshire CV8 2FD, United Kingdom. sales@leisurelines.net Phone 0844 414 2324 (01926 854271), Fax 0844 414 2425. Our VAT number is GB785411809. We recommend that you keep a printed copy of these terms and conditions for future reference.